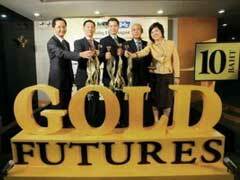 Gold futures trading is one of the most demanding and stressful jobs out there that requires not only substantial investment funds, thorough knowledge of gold futures contracts, sense of perspective and also nerves of steel. To avoid making erratic gold futures trading decisions, each player needs to come up with his personal gold futures trading strategies to fit his objectives, personality and many other important factors. Are you a macro or micro type of thinker? Ultimately, this will determine which time frame trading strategy to implement, namely, long or short term. Long term gold futures trading strategy requires a lot of patience and ability to look at the big picture withstanding significant gold futures prices fluctuations within longer periods of time. If patience is not your best feature and you are likely to jump the gun, then short term trading is probably better suited for you. Small scale traders prefer to close their gold futures positions at the end of each business day to avoid any unnecessary overnight risks. Larger investment funds or long term traders are willing to risk their positions to remain in the low figures sometimes for days or weeks at a time. Your risk tolerance will drive another gold futures trading strategy that is usually determined in monetary amounts. Day traders are not willing to lose a lot of money and prefer to get in and out of their contracts fast earning in their short term positions. If your risk tolerance is higher and you are willing to risk more money to potentially earn more in the long run, high risk long term trading is for you. How much time you have on your hands and your specific personality type will also help you devise your own gold futures trading strategies. Day trading requires hours sitting in front of the computer screen watching futures prices fluctuate, and if you do not have a lot of time at your disposal, you might be better of doing mid- or long term trading. What if you are not properly funded for long term trading and your risk tolerance is not so high, you need to come up with a better plan. Planning your futures trading day in advance adds order and structure to it by making your futures orders at the start of the day and clearly determining entry and exit positions. Sometimes you can not devise your personal gold futures trading strategy overnight, but with time you will be able to come up with a system that suits your lifestyle, personality and investment potential. To learn more on gold futures ETF comparison and which one is better for you, read our article on this topic. Scroll over to read our other articles on gold options trading.